I don’t think Oculus CEO Brendan Iribe was threatening Sony over Morpheus as much as he was pleading with them. The CEO apparently offered some insight to Sony regarding that incoming play for the virtual reality world. The Guardian has it from Iribe at the recent Web Summit Conference. Oculus is worried that big consumer companies will push virtual reality tech too hard and too fast, thus potentially ruining consumer impressions. Motion sickness is absolutely an issue. If Morpheus or Rift releases to the general public and forces a string of vomiting incidents, odds are consumer thinking about the tech would be alarmingly negative. 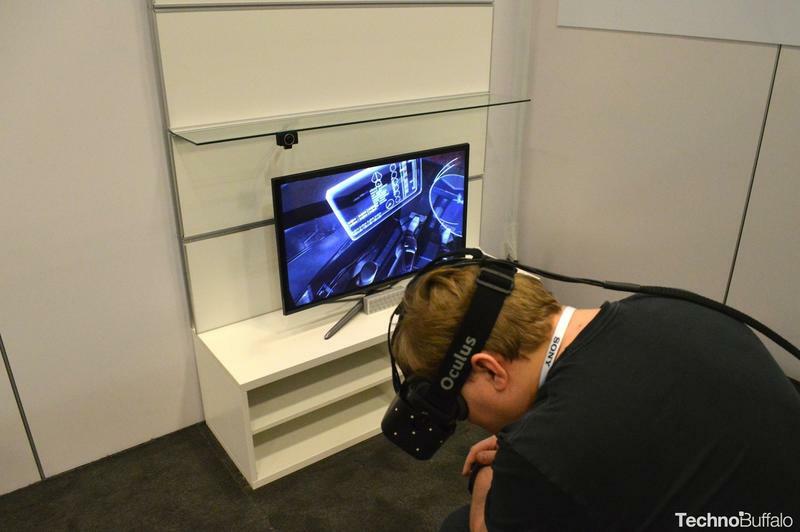 Virtual Reality could be dead before it even hits its stride. Iribe and Oculus aren’t really worried about losing to Sony, it seems. They’re worried about Sony’s potential play to rush to market and spoil consumer interest before Oculus feels it has the Rift perfected for general use. I know our own Ron Duwell has experienced motion sickness with VR helmets recently. I haven’t, but I don’t normally fall victim to that stuff. Where do you stand on all this? Would you like to see Sony release the Morpheus as soon as possible? Or, would you rather they head Iribe’s advice and hold on a bit longer?